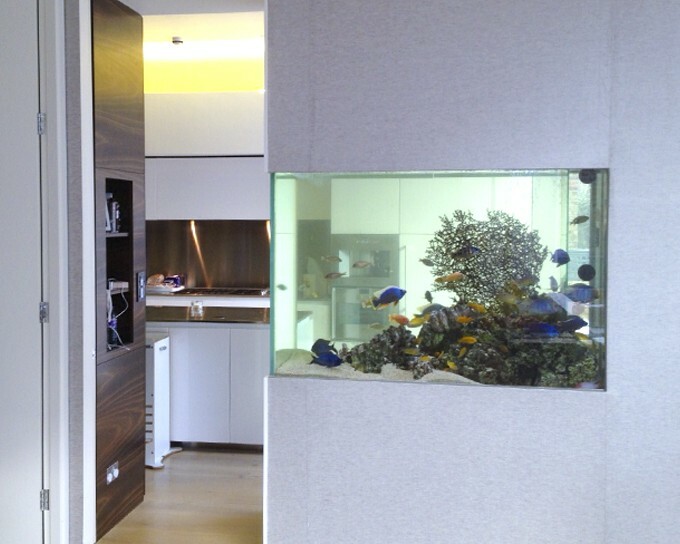 This bespoke kitchen aquarium in London houses a colony of African Cichlids. It sits on a steel frame, clad in a white high gloss finish. At 80 cm wide it has a huge surface area which allows for plenty of oxygenation. The aquarium was installed in May 2010 and has been serviced by us on a regular basis ever since.